Item # 315347 Stash Points: 6,495 (?) This is the number of points you get in The Zumiez Stash for purchasing this item. Stash points are redeemable for exclusive rewards only available to Zumiez Stash members. To redeem your points check out the rewards catalog on thestash.zumiez.com. 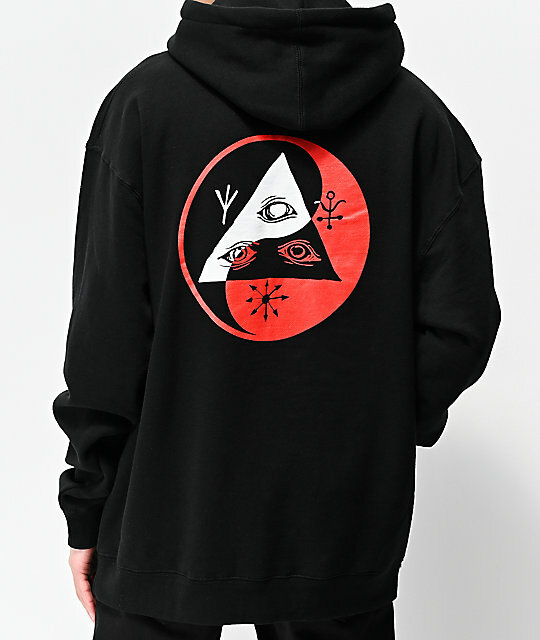 Bundle up in classic skateboard-inspired style with the Welcome Balance Black Hoodie. Featured in a heavyweight construction, this extremely warm pullover comes complete with fleece interior lining as well for additional comfort. 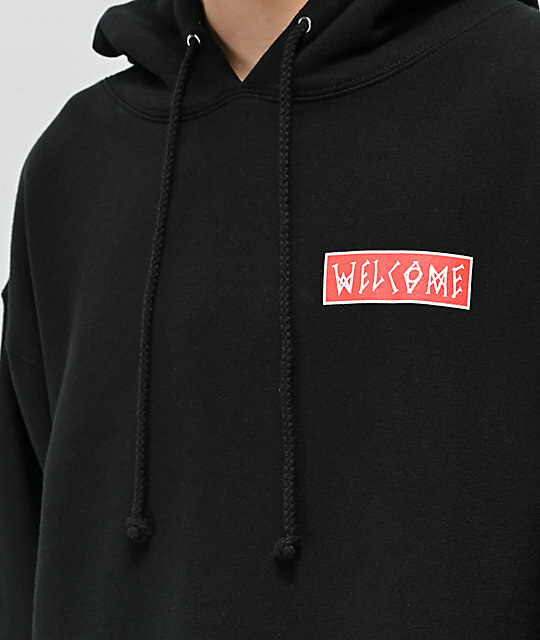 Finished off with a screen-printed Welcome script logo at the left chest and Talisman logo at the back in red and white, this hoodie is a clean way to show your love for Welcome Skateboards. 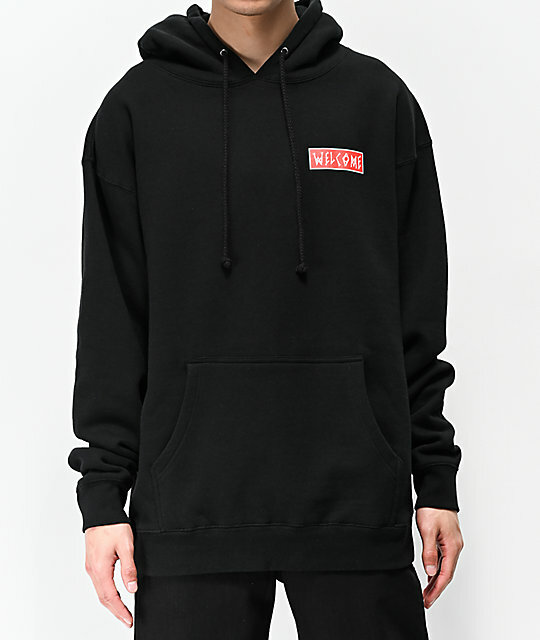 Balance Black Hoodie from Welcome. Screen-printed red logo graphics at the left chest and back. Machine wash cold, tumble dry low; may fade after wash.
30" from the shoulder to the bottom hem.